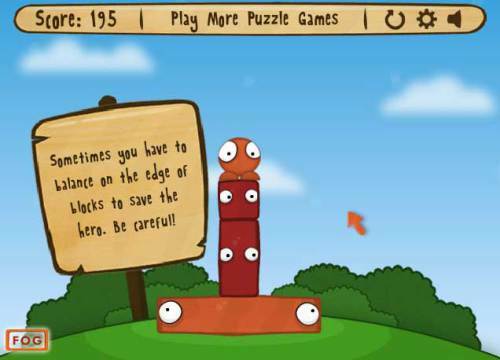 Description Help the orange dude reach the orange platform! Structures can be toppled by clicking on some of the coloured blocks. But beware, if you touch the ground it's all over.